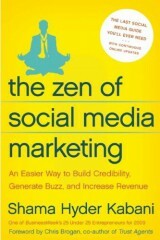 I’m running a “Facebook Basics Workshop” with Likeable Social Marketing (Dan Necklen). Know a business owner that might need our help? It’s limited to 10, and as of today there are just 4 spots left. To be honest, I found this part a bit confusing at times – it was hard to tell the difference between examples Gary liked and those he didn’t! Are you just about to set up a Business Page on Facebook? Or have you set one up already but it’s just not generating business for you? Then this short list of tips will save you some time and help you generate some results. Also, this is a violation of Facebooks Terms of Service that state that everybody on the planet can have one login only and that each personal profile must be a real person not a business. What do you need to make your Facebook Business Page really work for you? Do you need help with the initial set up of each your Facebook Business Page? Do you need someone who can provide you with advice, strategy, techniques, know-how, shortcuts, tips and tricks on how to use various social media platforms to generate results for your business? Do you need training so you can control it all yourself so you don’t need to pay anyone to do it for you? I know some people who can help with this, so let me know if you’d like to talk to them. A Facebook Page For Your Business? Should You Bother? Word of Mouth is how a business dies, survives or thrives, right? 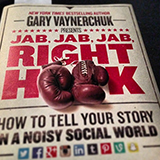 Well, social media platforms such as Facebook are Word-of-Mouth with a megaphone. Traditional, mass-media, or “broadcast” forms of advertising are becoming less effective because they are based on interruption. Media is continuing to fragment (more websites, more TV channels, more magazines) so it is increasingly expensive to shout at your target audience. The future is about getting permission to talk to your audience. Facebook is all about building a permission asset. People of all ages are using it. It’s free. It’s easy. It’s a way to get feedback from your customers. In New Zealand Is Facebook Just For Kids? No. I thought it would be interesting to combine age group data from Facebook with age group data from Statistics New Zealand to see what proportion of each age group is using Facebook. Is Facebook mainly for teenagers? Are people over 50 using Facebook? Are people over 65 using Facebook? ^How is it possible that more than 100% of that age group use Facebook? I don’t know. What do you think? Do these results surprise you? Have you noticed how much publicity the growth of online advertising has been getting lately? If it’s new customers: What are you offering them? Why should they join? What’s in it for them? What should your landing page say? I’m booked up until March 2011. If you’d like to join the queue, email me your details and I’ll make a note in my diary to contact you then. 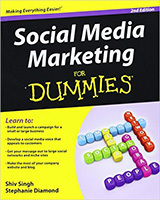 My notes on “Social Media Marketing for Dummies” by Shiv Singh. My additions are in italics. Can sponsored conversations in social media be authentic? Disney partnered with SavvyAuntie, an online community focused on aunts without kids. Melanie Notkin, who runs SavvyAuntie, tweeted about Disney’s Pinocchio movie in March 2008 to coincide with its Disney anniversary release. She tweeted about t themes in the movie, often in question form, encouraging others to respond. Her 8000 followers on Twitter knew that she was doing this for Disney (every tweet about Pinocchio had a special tag), but because the tweets were appropriate for the audience, entertaining, and authentic, the campaign was a success. Facebook is like a coffee shop. Everyone is there for his or her own reasons, but it is a great place to strike up a conversation. People from all walks of life use Facebook. They aren’t there to buy stuff. They are there, first and foremost, to express themselves. After self-expression comes their need to connect with others. Research show that people use Facebook primarily to showcase their own identity – not just who they are, but who they want to be perceived as. The friends we make, the groups we join, and the pages we LIKE on Facebook are all offshoots of this basic identity creation adn re-creation. This is why you can never push products or services on Facebook. If you try to convert people directly to customers or clients, you will fail. However, if you are looking to attract consumers and build relationships over time, you will succeed. Your goal on Facebook should always be to attract people to your website, build trust, and gain visibility – all things that inevitably lead to sales. Think about how you can be a part of peoples identity. Remember the cool kid everyone wanted to be friends with in school? Why did everyone want to be that person’s friends? Because it meant he or she was cook, too! You want to position your brand so people want to make it part of their identity. This book also included sections on Twitter, LinkedIn and Video, but I didn’t learn anything in those sections so I didn’t take any more notes. You may be already aware how easy it is to update your personal Facebook Wall from Twitter. But you don’t really want your tweets about your favourite movies or what you had for lunch appearing on your Facebook business page do you? Do you want to be able to write a Tweet and for that Tweet to appear on your Business Facebook Page Wall (not on your personal profile)? Do you want Retweets to be ignored so only your messages appear? Do you want hashtags to be ignored because they wouldn’t work on Facebook anyway? Do you want to save time by not having to update 2 platforms every time you have something to say? Do you want your Facebook Business Page to look active without extra effort? Then I have good news. Here’s how I achieved this yesterday. If you are just about to set up a Business Page on Facebook this short list of tips will save you some time. Set your logo to 180px by 180px. If you set the width bigger than that Facebook will do a really bad job of resizing it for you.